In respect to the Academy, this is the legal relationship with Save the Children UK. Used in reference to the practice of improving the livelihoods of others. Frequently referred to as international / overseas work that is more long-term than humanitarian (response to a crises) in nature. Sustainable development is the practice 'development' in a way that does not result in dependency. Numerous learning activities that are brought together to provide the learner with an overarching set of learning objectives. A tailored pathway refers to an already existing pathway which is adapted to the specific learning needs of an individual or organisation. An Academy Centre is a directly managed office based in a location determined by an assessment of need, demand and opportunity. The Academy Centre exists to help the Academy understand the regional/national learning landscape and will play a proactive role as a platform and service provider, supporting the identification, analysis and more efficient connection between the supply and demand of learning and essential humanitarian knowledge and knowhow. The Academy will act as a resource for new and innovative ideas related to learning for humanitarian preparedness as well as humanitarian disasters. An accelerator is like a boot camp for promising start-ups, providing mentoring, resources, and, most importantly, industry connections. Accessibility of learning means both democratised access (little or no cost), contextualised access (languages and relevant content) as well as physical access (online, offline, face-to-face) so that learning opportunities can be reached by communities around the world. The collection and use of existing learning resources rather than rewriting new content. Learning products that combine both self-guided learning with face-to-face elements. An intensive course which covers a lot of material in a short time. It is a rigorous and focused schedule of training to learn or improve skills. Indicates that there is power or ability in being able to do something. Is the increased ability and power to do something (functional capacity), or increased resilience and autonomy (intrinsic capacity). It is a broad term which conveys the notion of a change process that is the outcome of the capacity building activity. The process by which individuals, groups and organisations develop their skills and resources to deal with challenges. Indicates the setting up of systems and processes to support the development of capacity such as learning programmes. Organisations or people working together to build, start or create new products. Organisations or people working together towards the same goals. When two or more organisations both contribute to creating a learning product or partnership, and share ownership. An individual receives dedicated support by a coach or mentor to help achieve personal and professional goals. These are self-sustaining institutions, managed by a partner organisation, that forms part of the Academy’s global networked organisation carrying out specific mandated activities in support of the Academy’s global mission. The Academy usually has a governance role and/or acts as a financial sponsor of the Collaboration Centre. It is not directly managed by the Academy. Finding out what different players and stakeholders have to offer and to see how best they can do something jointly for a greater impact. It’s not about one partner taking the stage but about having a positive impact for the affected communities. Having an equal seat at the table regardless of resources and size. The group of people, residing in a vulnerable locality that make up the majority of the first responders when an emergency hits. Communities of practice bring together people in one local area or from across the globe to share ideas and experiences. Through the process of sharing with the group, members learn from each other, and have an opportunity to develop themselves personally and professionally. Community responders are individuals or groups who are responding to humanitarian crises in their own area. They are the first responders and have a deep understanding of the context which allows them to work with communities before, during and after disaster. Refers to the role of the Academy to facilitate partnerships, collaboration and convene conversations that increase quality learning opportunities. Refers to when a partner allows the Academy to use its content without any cost or exchange. To make materials, trainings, projects or programmes specific and relevant to a context. This includes translations to local languages, adapting case studies to be relevant and/or altering the reference points in materials. At the individual level, continuous learning is about expanding the individuals’ ability to learn by regularly upgrading their skills and increasing their knowledge. Continuous learning in the workplace involves viewing experiences as potential learning and re-examining assumptions, values, methods, policies, and practices. There are seven core services which underpin the Academy’s operational strategy (known as the Core Strategy). These are internal work streams around which planning and budgeting is based. The Academy’s operational strategy which outlines its objectives from 2016 – 2020. An unstable condition, as in political, social, or economic affairs, involving an impending abrupt or decisive change. In our usage, we specifically mean events that have a large impact on people e.g. flooding, earthquakes, explosions, civil unrest. They have on-going impact. Refers to the practice of obtaining needed services, ideas, or content by soliciting contributions from a large group of people, and especially from the online community, rather than from traditional stakeholders or contributors. Refers to collating knowledge, not giving funding. An occurrence causing widespread destruction and distress. In our usage, we specifically mean large specifically defined events such as tsunamis, earthquakes. A disaster occurs when a hazard impacts on vulnerable people. The combination of hazards, vulnerability and inability to reduce the potential negative consequences of risk results in disaster. Disaster resilience is the ability of countries, communities and households to manage change, by maintaining or transforming living standards in the face of shocks or stresses - such as earthquakes, drought or violent conflict - without compromising their long-term prospects. This includes policies, strategies and activities to prepare communities for and mitigate against the impact of disaster. It refers to the whole response cycle: preparation, mitigation and response. Process by which findings and knowledge are communicated to the relevant audiences. The systematic process of using operational skills and capacities to implement strategies, policies, programmes and improved coping capacities to lessen the adverse impacts of hazards when a disaster occurs. Describes the interconnectedness formed when by the interaction between various/ multiple organizations work together to thrive in their environment. To give someone the authority and/or means to do something. Ensuring that learning content and/or knowledge has more accessibility than it has had previously and therefore enabling a wider audience to access and utilise it. The act of participating or sharing information with a group of others to inform them of your work. The systematic and objective assessment of an on-going or completed project, programme or policy, its design, implementation and results. The aim is to determine the relevance and fulfilment of objectives, development efficiency, effectiveness, impact and sustainability. Evaluation is about the formal or informal assessment of the quality and effectiveness of a training and learning provision, usually either by some measure of the merit of the provision itself (the input, for example the quality of course content and presentation) and/or by monitoring its impact (the outcomes, for example improved skills/qualifications or enhanced productivity/profitability). Accurate information or data that supports, or validates, a claim. Active support of a cause, idea or a policy through a set of organised (planned) activities designed to influence the policies and actions of others to achieve positive changes and informed at each step by empirically sound and accepted evidence. The request for information, or sharing of findings, generated through the monitoring and evaluation process between parties for whom it is relevant and useful to facilitate learning. An ideal feedback (see above) process involves the gathering of feedback and the communication of a response, which forms a feedback loop. Accessing education in a way that is responsive in pace, place and/or mode of delivery, allowing the individual to learn at a pace and time of day that is suitable for them. The international central body of the Academy, whose role is to oversee, coordinate, and support the activities of the Academy global networked organisation and platform. Such support includes technical support (Core Services 1-7, Digital and MEAL) and operational support. It facilitates coordination between the various business units and platforms internally in the Academy network of Centres and Collaboration Centres, and externally with the broader ecosystem. Someone may argue that Academy Centres (AC) can coordinate with each other. Implies that an activity or project was approached in the most effective way, specific to the context and international standards, to achieve optimal results. The activity may therefore be documented for others to review, utilise and contextualise. The Grand Bargain is the name for a package of reforms to humanitarian funding, launched at the World Humanitarian Summit in May 2016. Description of countries as per World Bank Classifications. The use of the terms are convenient; it is not intended to imply that all economies in the group are experiencing similar development or that other economies have reached a preferred or final stage of development. The professional practitioner working to saving lives and alleviating suffering in emergency contexts whether in the case of a natural disaster or a man-made disaster such as war or other armed conflict. Generally accepted to mean the aid and action designed to save lives, alleviate suffering and maintain and protect human dignity during and in the aftermath of man-made crises and natural disasters, as well as to prevent and strengthen preparedness for the occurrence of such situations. The full name of this Global Networked Organisation. Coined by the International Committee of the Red Cross (ICRC): humanity – saving human lives and alleviating suffering wherever it is found impartiality – acting solely on the basis of need, without discrimination between or within affected populations neutrality – acting without favouring any side in an armed conflict or other dispute where such action is carried out independence – the autonomy of humanitarian objectives from the political, economic, military or other objectives that any actor may hold with regard to areas where humanitarian action is being implemented. The professional sector in which all organisations and groups working on humanitarian resilience and response. Positive and negative, primary and secondary long-term effect produced by a development intervention, directly or indirectly, intended or unintended. Serves to collect data on the effectiveness of different learning practices and the results of these analyses can then be fed back into improving the learning programmes. A collection of techniques that can be used to prove an idea, develop a team and de–risk ventures for later–stage investors. Innovation means different things to different people and in different organisations. Often it is synonymous with a new technology or product, but more usefully it can be understood simply as the process of creatively solving problems to build new value. Online spaces in which learners can post messages and interact with each other, encouraging peer-to-peer learning and facilitating real time discussions. A competency based approach to professional development in the humanitarian sector, practically implemented through learning pathways and opportunities and recognition (including professional certification & badges) aligned with competency framework(s)’. Kaya is a global online learning platform for the humanitarian sector which hosts the training products from the Humanitarian Leadership Academy. Is the field which is concerned with organisational activity aimed at bettering the performance of individuals and groups in organisational settings. This connects learning to a planned and systematic approach to changes in the strategy, structure and/or processes of an organisation, which includes people gaining the skills, and knowledge necessary to improve organisational performance. This refers to the term which is directly focused on the impact of learning programmes on an organisation. Long-term training and development opportunities. A more involved process than just training. Refers to the locality in question at that time – we are all local wherever we are. This terms should not imply the Global South, although in other organisations work it might be recognised as such. A network of locally-based experts, mentors and/or coaches who can support individuals and/or organisations’ learning process. People who live in countries affected by disaster and who respond to them either as individuals or through local organisations. This specifically refers to people responding to crisis in their own area. Localisation is the process of adapting a product or content to a specific context or market. Translation is only one of several elements of the localisation process, in addition case studies are rewritten to fit local environments, etc. Learning which has been adapted and contextualised to a specific audience. This goes beyond translation to ensuring that case studies are changed, and actors or facilitators are locally relevant. Management tool used to design, monitor and evaluate interventions, most often at the project level. It involves identifying strategic elements (inputs, outputs, outcomes, impact) and their causal relationships, indicators, and the assumptions or risks that may influence success and failure. Aggregates content in one place and allows learners to browse and review what there is to offer. It plays a role in facilitating supply and uses crowd sourced feedback mechanisms to publish real time feedback. A continuing assessment that uses systematic collection of data on specified indicators and wider information on the implementation of projects to provide management and the main stakeholders of an ongoing development intervention with indications of the extent of progress and achievement of objectives and progress in the use of allocated funds. MOOCs (Massive Open Online Course) are courses designed for large numbers of participants, that can be accessed by anyone anywhere as long as they have an internet connection, are open to everyone without entry qualifications, and offer a full/complete course experience online for free. A model which encourages peer-to-peer learning through facilitating opportunities for learners to engage with each other and learn from each other’s experiences rather than learning from the traditional classroom set-up. A group or system of interconnected people or things who interact or engage in informal communication with others for mutual assistance or support. Any not-for profit, voluntary citizens' group organised on a local, national or international level. Task-oriented and driven by people with common cause, value, interest, NGOs perform a variety of services and humanitarian functions, bring citizen concerns to Governments, advocate and monitor policies and encourage political participation through provision of information. Some are organised around specific issues, such as human rights, environment or health. Refers to something that is ‘new’ actor to the humanitarian system as defined by Western donors. It is used to describe individuals, actors and innovative ways of the working. 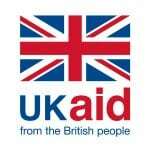 The provision of advisory services to humanitarian organisations on specific request. A website through which people can access learning, track their progress, and receive certificates. The learning is searchable and arranged in categories and pathways to help learners find their way through the catalogue. A way to recognise learning and/or experience through providing visual symbols of accomplishments packed with verifiable data and evidence that can be shared. The badges are online icons rather than physical badges. Refers to a specific website, integrated with Kaya, where humanitarians can display their badges and through which humanitarian organisations can create and issue badges. Available to all. In its truest sense, it means anyone can take it, use it, change it, re-share it. The term open source refers to something people can modify and share because its design is publicly accessible. It most often refers to computer software. Building skills and capacity of other organisations so that they have sustainable operational ways of working. The likely or achieved short-term and medium-term effects of one or more interventions’ outputs. The products, capital goods and services which are delivered through or result from an intervention; may also include changes resulting from the intervention which are relevant to the achievement of outcomes. Academy Centres working outside of their national base into neighbouring countries or with other regional or sub-regional organisations, beyond the borders of any specific locality of an Academy Centre, to support the development of Academy activities there e.g. creating networks. The individuals and/or organisations that collaborate to achieve mutually agreed upon objectives. The concept of partnership connotes shared goals, common responsibility for outcomes, distinct accountabilities and reciprocal obligations. Pedagogy is the discipline that deals with the theory and practice of education; it thus concerns the study of how best to teach. A process usually used to assure scientific quality. This may include independent scientific reviewers or priority committees to review proposals taking into consideration if the hypothesis or research questions and methods proposed meet the internationally accepted standards of the discipline. Includes those who have long-term physical, mental, intellectual or sensory impairments which in interaction with various barriers may hinder their full and effective participation in society on an equal basis with others. One of the three tag words for the Academy: connect, share, prepare. A standard that is considered excellent, often that is then measured against. The Academy strives to support the professionalization of the humanitarian sector where both traditional and non-traditional responders’ expertise and skills can be recognised globally. Recognition is a process of formally acknowledging the quality or standard of someone’s work or learning without necessarily needing to link the acknowledgement to a professional certification or qualification mechanism. The capacity to recover quickly from shocks. Often used when referring to positive, (relatively) quick recovery of communities, businesses and systems following some crises. The term can be used to refer to individuals or to whole communities or countries. Capability of a system, network, or process to handle a growing amount of work, or its potential to be enlarged to accommodate that growth. A model which has scalability will lead to increased reach of the Academy where appropriate. Learning where the learner is not reliant on the input from a ‘teacher’ or their ‘peers’ in order to achieve the learning outcomes. It allows the learner to engage with learning at his/her own pace and at times that suit him/her. This can also be referred to self-directed learning. Refers to those who have a stake in the organisation. This includes both those who are affected by the decisions and actions of the organisation and those who can impact on what decisions and actions are taken. Some of these stakeholders will become partners others will remain supporters or influencers. As with any product or service, there are ongoing costs associated with the continued provision, scale-up and improvement of learning, which requires a reliable source of long-term funding. A diverse income portfolio with elements of cost-recovery is generally more reliable than dependence on a single donor. This is more easily achieved where learning is cost-effective, e.g. using innovative and scalable delivery approaches. However, achieving scale and accessibility is not a passive process, the ongoing costs of marketing, feedback and product-improvement must also be covered. Refers to the maintenance of an organisation's high performance levels in respect of financial indicators, people management and environmental and societal contribution over the long term. The groups that the Academy will seek to support and involve – including humanitarian professionals, informal humanitarians and policy makers, communities.